Giving it my all at the Battle of the Bridge. Looking forward to some more racing soon! 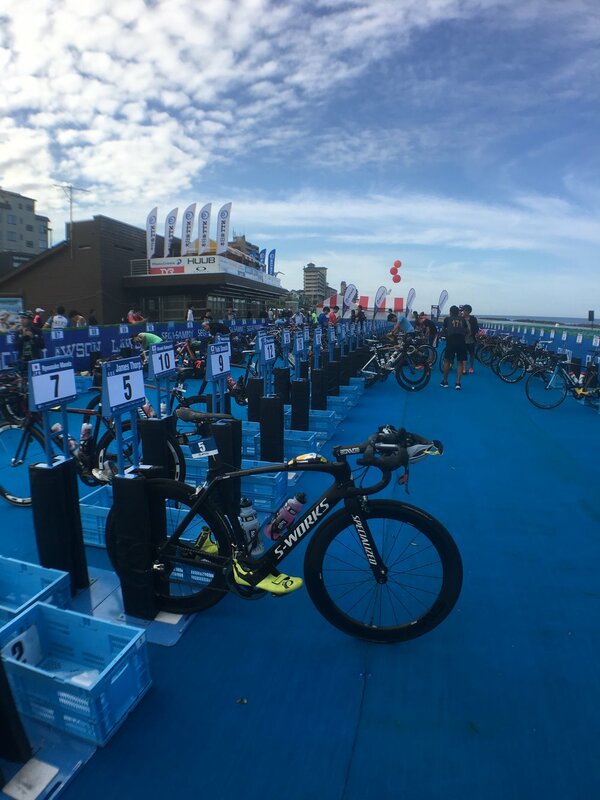 For me, racing in Murakami, Japan perfectly symbolised what it is like trying to break through in ITU racing. It is not uncommon to scout the list of continental cup races only to pull out a map to check which races are viable options. This weekend there were two- Murakami, Japan and Papeete, Tahiti. Tahiti, one of the most beautiful places in the world or a small town in Northern Japan... why pick Murakami I hear you ask..? As our train rolled into town on a rainy Wednesday evening, I turned to Grace and asked her the same question. With the goal of getting a start in World Cup races, a good result in a field of 79 against a few of the other top Australian guys is a far better outcome than racing Tahiti in a field of 10. When considering these things, the quality of the beaches takes a back seat. The challenges of racing in a town where almost no one speaks English became evident on our first night in Murakami. Heading out to dinner without Internet and no way of translating the menu in front of us, we blindly picked our meals, making a game of guessing what was going to end up on our plate. Thankfully, unlike my last trip to Asia, I was able to avoid food poisoning in the lead up to the race and all 5 of the Aussies were ready to rock come race morning. The Japanese fun continued as they announced us down to the start. With my ranking giving me number 5 on the pontoon, I was announced to the crowd before running down to the beach high-fiving all the age groupers, supporters and officials that lined the fences cheering. Such a small thing, but definitely a highlight of my race. As I entered the jellyfish infested water, I reeled in my focus and got ready. Or so I thought. I don't think I ever could have prepared myself for the dog fight I was about to encounter in the 2 lap 1500m swim. Thankfully I am a far more confident open water swimmer than I once was and despite being pulled under, having my legs pulled multiple times, swallowing water, and exiting the first lap way back from where I wanted to be, I remained calm and fought back to group ahead of me and was able to position myself well enough into T1. In typical James fashion, I missed the front pack of 7 and went to work chasing in my group of 8. Despite averaging 318W with a normalised power of 368W over 40km in a group that was working well, we some how managed to lose time to the group up the road. Entering T2 way back from that group meant we were running for the minor positions. The opening couple of kilometres of the run were met with a certain level of caution. Our group blew apart immediately out of T2 and I was wary of how hard our bike was in the 30C heat. I was cautious but confident. By kilometre 3 I was running in 8/9th with a Japanese guy and had settled in nicely. We passed a straggler from the front group and took turns running on each other's shoulder until 8km. When I signalled for him to go through and he apologised I dropped the hammer and snapped the elastic. The next 1km was solid and I managed to put a big gap into him before I felt a pull on my calf. To say I was concerned was an understatement. I began to worry I wouldn't make the finish and went into severe damage control. I figured I had 1km to go and being in 7th at the time, I'd get there and assess the damage at the end. In what was a severe shock to me, turning into the finish area I picked up another spot. Making a poor tactical decision I started the sprint as I made the pass and gave him too much time to get back and just pip me at the line. Finishing 7th is not entirely the result I was searching for in Murakami but as always, I know I have high expectations of myself. With 3 top 7 finishes in my last 5 races, my results and ranking are headed in the right direction. This result should hopefully ensure a top 150 finish for the year. For someone who started the year with next to no points, I can be really proud of the year I have put together. 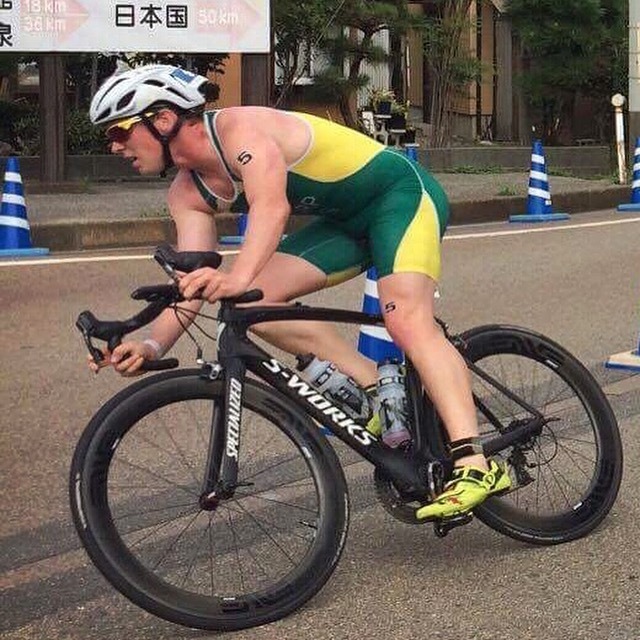 For now, it's time to shift my focus a little and dust off the TT bike for a birthday race at Nepean before building some kms for next year with a crack at my first pro 70.3 in Western Sydney at the end of November.